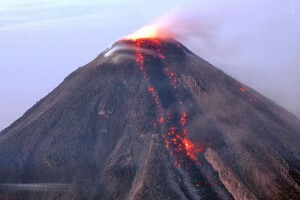 Thinking about getting some great shots of the Volcano of Fire in Colima, Mexico? Before you go, you need to be sure that you have top-rated Mexico insurance for tourists so that you travel safely and in accordance with national laws. Additionally, you need to think in terms of potential dangers if you get too close to this active Mexican volcano. Some situations could fall outside of the terms of your Mexican car insurance. While this may seem obvious, you need to remember that this volcano’s recent eruption spewed ash nearly 3 miles high, and towns as far away as 15 miles were showered with the debris. Getting closer may be costly in terms of more than just damage to your vehicle. Have a healthy respect for these dangers by avoiding off-road travel that will take you dangerously close. Your top-rated Mexico insurance for tourists loses its effectiveness if you void the policy by violating the terms, and an off-road accident is definitely a violation of terms. Once you’ve made your decision to travel to Colima and have bought top-rated Mexico insurance for tourists, be ready to anchor in place a bit if you want to get the best shots. While a webcam was set up to capture the recent major eruption, it may be more difficult to plan for this as a tourist. The volcano is said to produce rumbling on a daily basis, but eruptions may be unpredictable, making your perfect shot a matter of being in the right place at the right time. Consider having a camera in place at your accommodations or leaving your RV in place as you run errands in a vehicle that has been towed behind for such use. Remember to add Mexican car insurance for this vehicle to your coverage after you include a towed car on your RV’s top-rated Mexico insurance for tourists. Although liability limits needed for vehicle travel in Colima aren’t dramatically high, you could go through areas with much higher limit requirements on your Mexican car insurance. Adjust based on your highest limit potential during the trip.